The other day, after seeing all the buzz from seemingly everyone who lives in New York, I decided I wanted to see what all the hype surrounding the Cronut was about. I haven't heard of any bakeries in San Antonio hurrying to offer their versions yet, and so I decided I'd make my own, which really, I think works out in my favor. 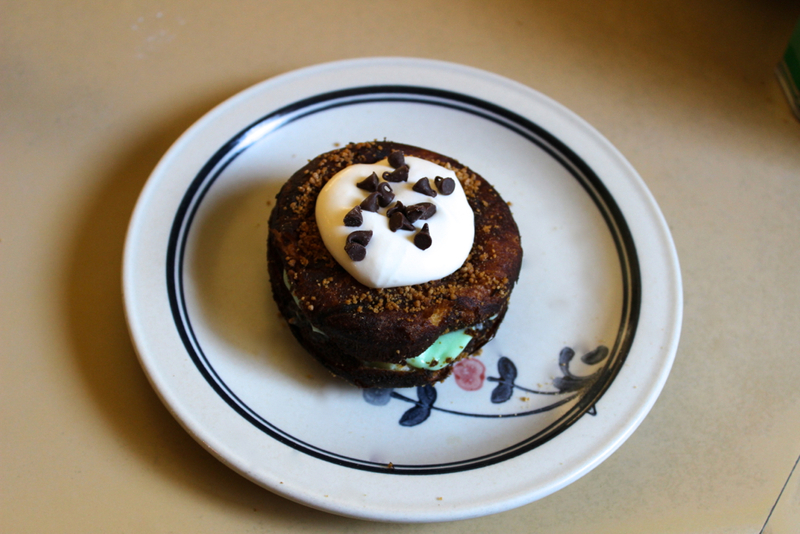 I love croissants, but I detest glazed doughnuts, so I decided to make my own version, complete with pistachio filling, a dusting of whole cane sugar, and a dollop of whipped cream and chocolate chips on top. It was, if I do say so myself, delicious. It was also easy to make. 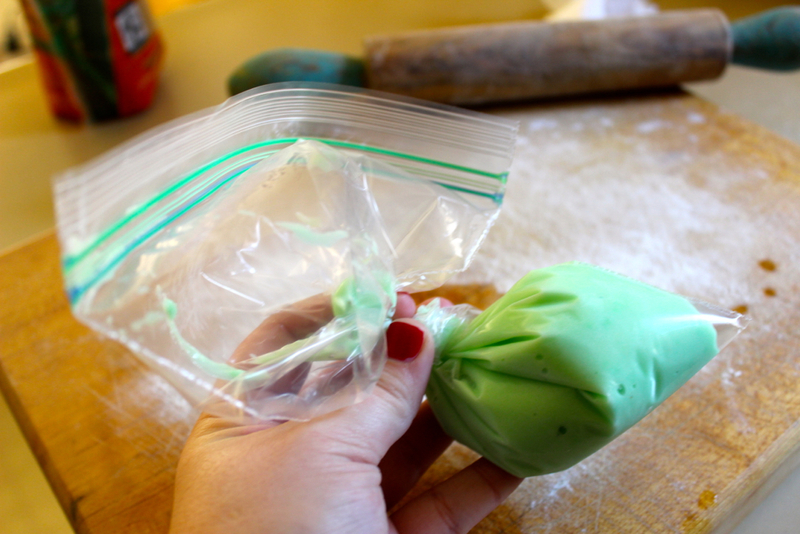 Make the pistachio filling first, according to package directions, and let it set in the refrigerator. 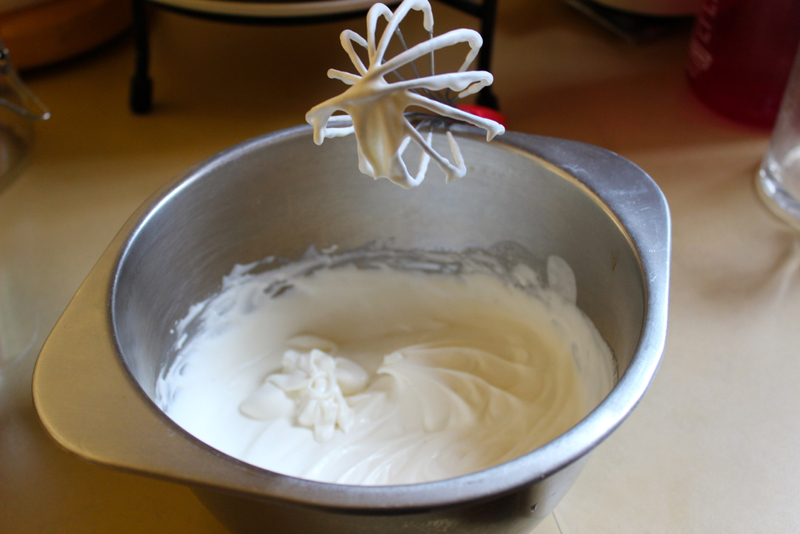 Make the whipped cream next, if you're doing so. 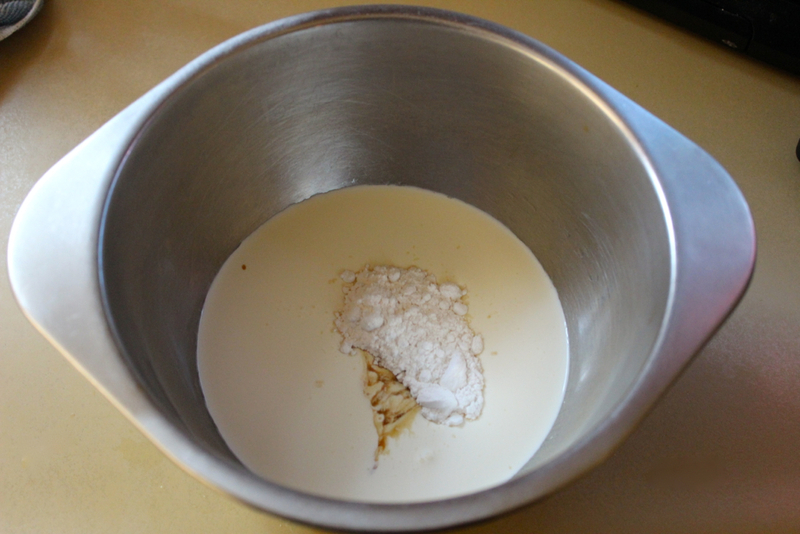 I combined 1 cup heavy whipping cream, 1/3 cup powdered sugar, and a dash of vanilla. 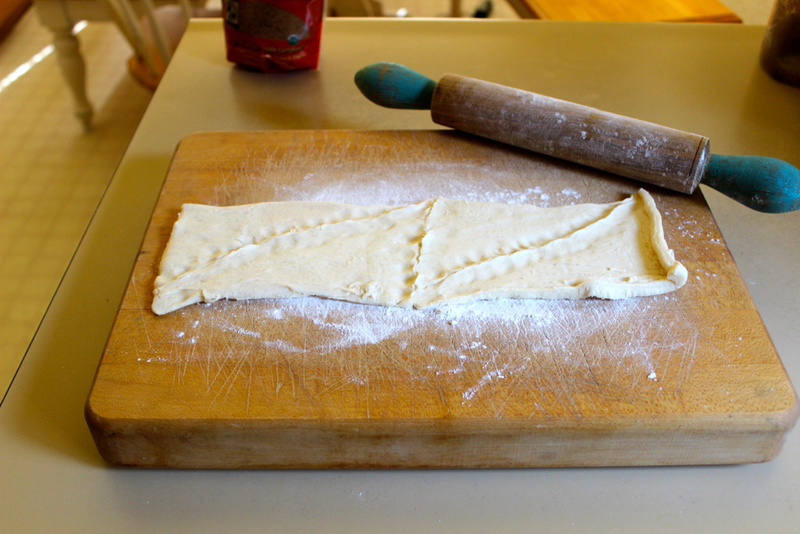 Next, roll out the crescent dough on a floured surface and pinch together all the seams. 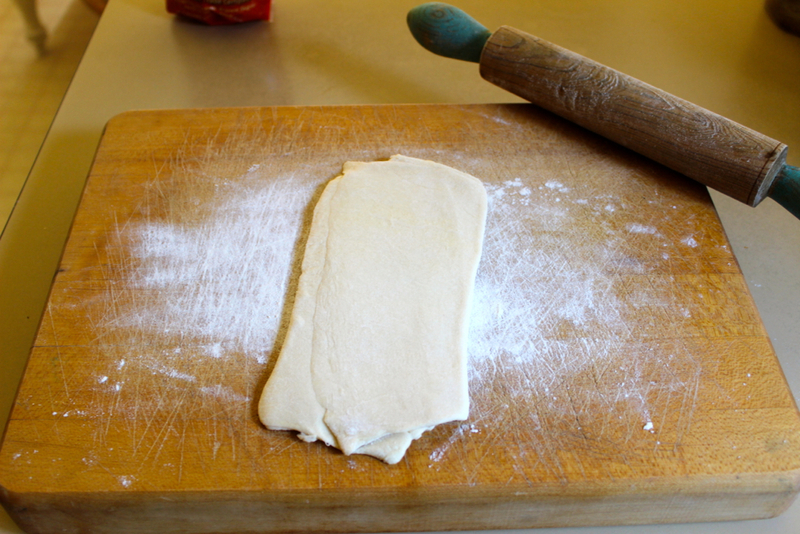 Fold the dough in thirds, like a letter, then roll flat. Repeat the folding process, and roll the dough flat again. 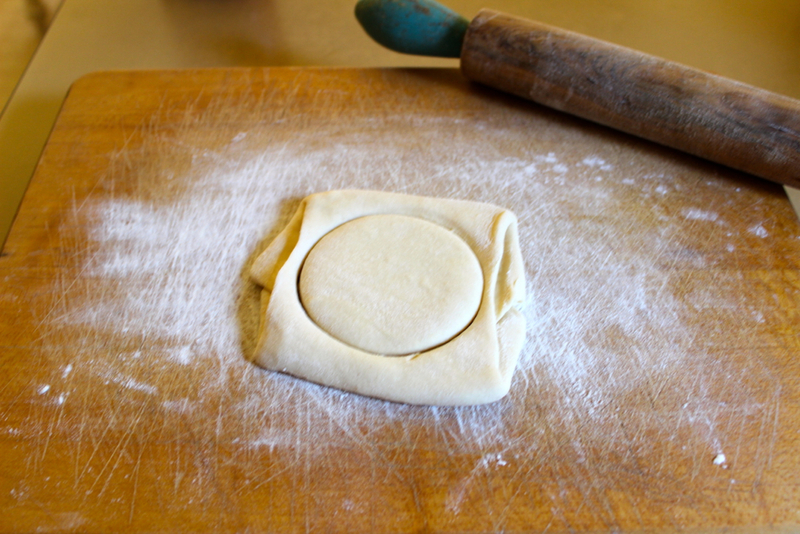 Once this is done, cut two circles out of the dough (I'm only making one here). I didn't cut a hole in the dough, because the idea of a filled doughnut with a hole seems a bit silly to me, but on the other hand, I can see how the hole might have helped the dough puff up a bit more while cooking. Feel free to make your cronuts either way. On the stove, fill a pot with 2 inches of oil, and heat the oil to between 350 and 375 deg. F. It's fairly important that the oil stays in this range--I had some trouble with my thermometer, and my cronuts browned a little too quickly as a result. But c'est la vie. They were still good. 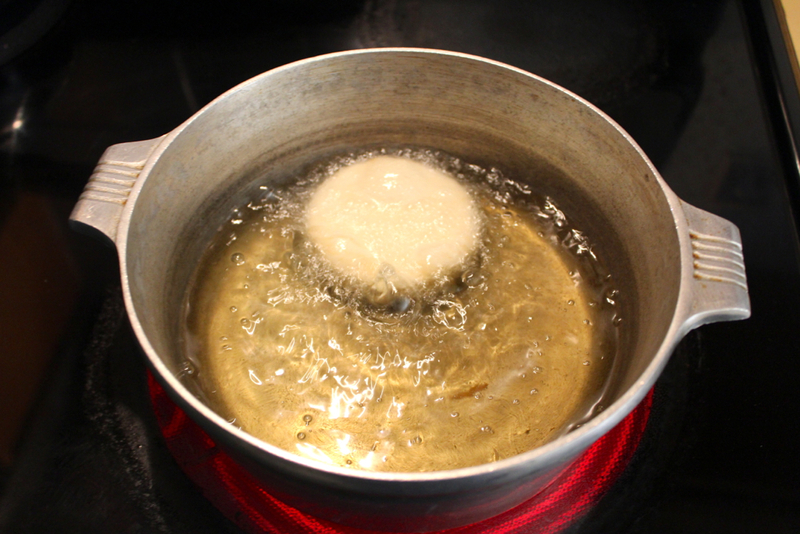 Once the oil has reached the right temperature, add the dough, and cook between 2 and 4 minutes on each side--the dough will lightly brown and the layers will rise and separate slightly. 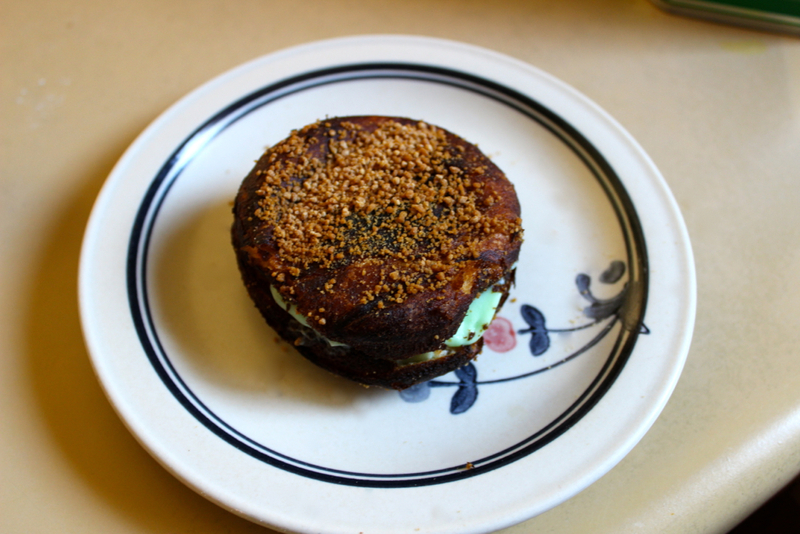 As soon as the cronuts are cooked, lightly coat them in whole cane sugar, then let them cool for just a minute before you pipe in the pistachio filling. I added mine between the layers on three sides. 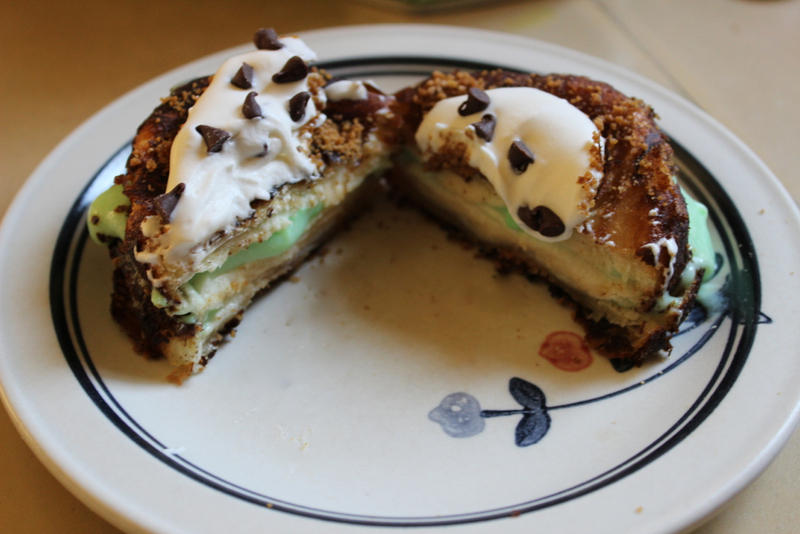 When the cronut is filled, add a dollop of whipped cream and a sprinkle of chocolate chips.